You like your core server installation, i know, but how do i install the windows updates? Well, that can be done by following the simple instructions below. 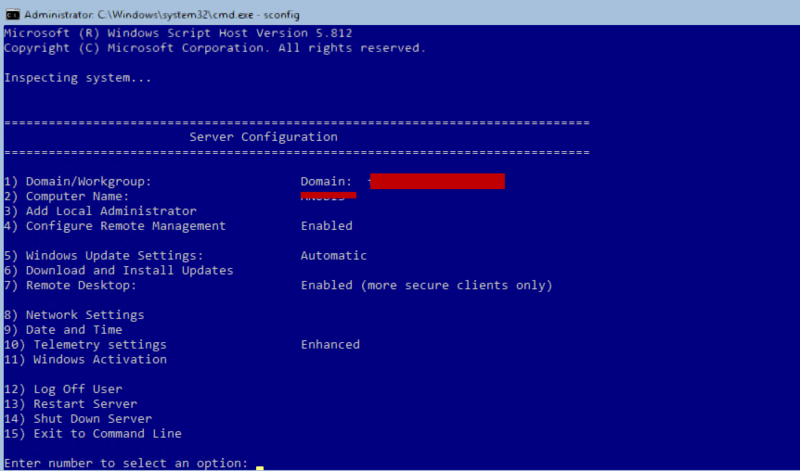 By typing sconfig in the command prompt it will open the menu where you can do a lot of server configurations. We are interested in windows updates, so select 6 and press enter. This will open another window where you need to chose what type of updates you want the tool to check for. If you want to check only for recommended updates go ahead and press R.
Checking for updates will take a few minutes and at the end you will be presented will all the available updates that apply to the server. Also, you can choose to revoke the operation and not install any updates, install just a single one or install all. After all the updates were installed you will be asked to reboot the server, so click Yes on the message box button to do so. And that’s it ! Server is patched. that’s all, your server is patched!